If you are reading this there is a chance that, right now, the teachings of Drunvalo Melchizedek are resonating within the Tiny Space of your Heart and you are feeling the call to remember who you really are. This is why this school is called, The School of Remembering. Since the Fall of Man we have descended further and further into this dimension over a period of thousands of years. Now is the time where we will begin our return to the Light. In the 1980�? ?s The Ascended Masters gave this information to Drunvalo and asked him to bring it to the World, for no longer is this information to be kept in The Mystery Schools. Now is the time to remember the ancient pathway back to the Heart, so that we can create from the Unity Consciousness of this Space and activate our Merkaba or Light Body. I feel so grateful to have been given the opportunity to bring this information to you. When I read Drunvalo�? ?s books it truly was a profound light bulb moment, and so it will be for all those who choose to make this journey. My spiritual path began back in the 70�? ?s when my mother gave me many spiritual books, including ones by Lopsang Rampa and Edgar Cayce. My particular spiritual connection is through the land, plants, animals and Mother Earth. I have practiced Steiner�? ?s spiritual horticulture known as Bio Dynamics, I have studied most of the Spiritual Paths and currently I work as a Landscape Contractor, building gardens and I have a plant nursery where we propagate and plant thousands of trees and shrubs a year. Now this new pathway has opened up and, with my wife Waveney, I believe we can bring you these sacred teachings from both a Male and a Female perspective. It is time to transform this world we live in. It is time to Dream a New Dream. The workshop was profound and life changing. I just love John's down to earth spirituality, loving understanding, acceptance and clear communication. Wonderful to have his male energy in combination and harmony with Waveney's beautiful feminine energy. With deep gratitude I can say what a privilege it has been to spend this time with him. My experiences with the school of remembering together with John and Waveney helped me A LOT on my spiritual path and growth. The time was magic and full of love and light. Thank you, thank you, thank you. Thanks John for your commitment and your teachings from the heart during the Awakening the Illuminated Heart workshop. It was a profound experience for me. I love my experience and in particular the dedication and love the teachers gave to students during the workshop. My suggestions for improving the experience would be to make it a very strict prerequisite to have read all the books and materials required. As some one who had read all the books and explored all the materials on line I felt that too much time was spent repeating information that was already well covered in the materials both in the books and online resources. I feel it would be an improvement to have an expectation of high level of assumed knowledge from participants coming to do this program and spend more time on practical activities and instructional meditation sessions including repeating the activities from day 4 several times over to give student more guided practice within the loving space/ environment created by teachers and student in the workshop before they go home. So basically less revision of text and more hands on experience with meditation processes. John Thode is a very compassionate man who lives in his heart and it shows throughout the entire workshop. He is kind, considerate, trustworthy and honest in all of his teachings. 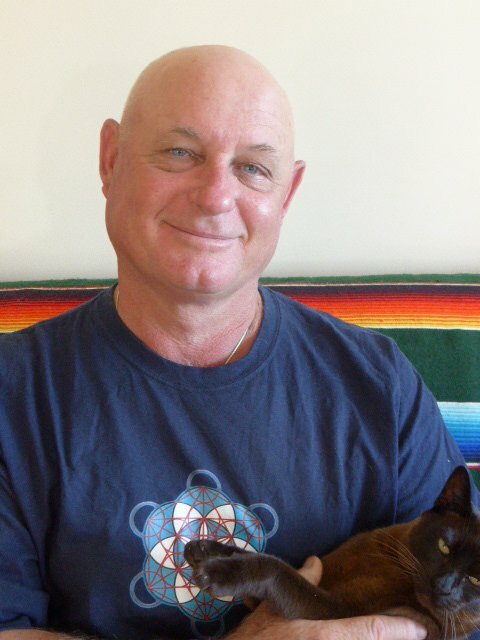 John is very committed to ATIH teachings and wants everyone who attends his workshop to walk away with a full understanding of the meditation process. This workshop was my first workshop of the ATIH and I am very grateful to have had such a wonderful experience and to have gain such profound insight of this process by such an incredible teacher.